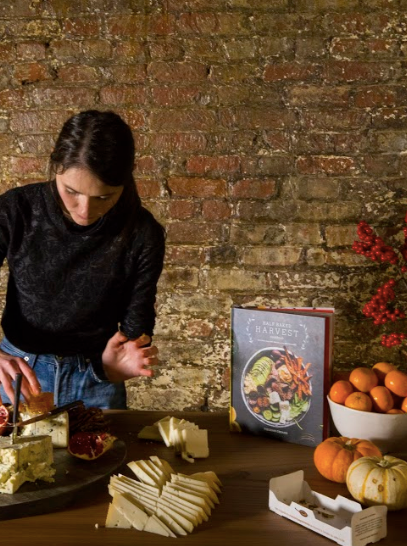 We were lucky enough to host Tieghan Gerard of @halfbakedharvest for a cookbook launch and cheese board styling event at our FeedfeedBrooklyn space on a chilly night in November (although Tieghan reminded us that there was already snow on the ground back in Colorado where she calls home). 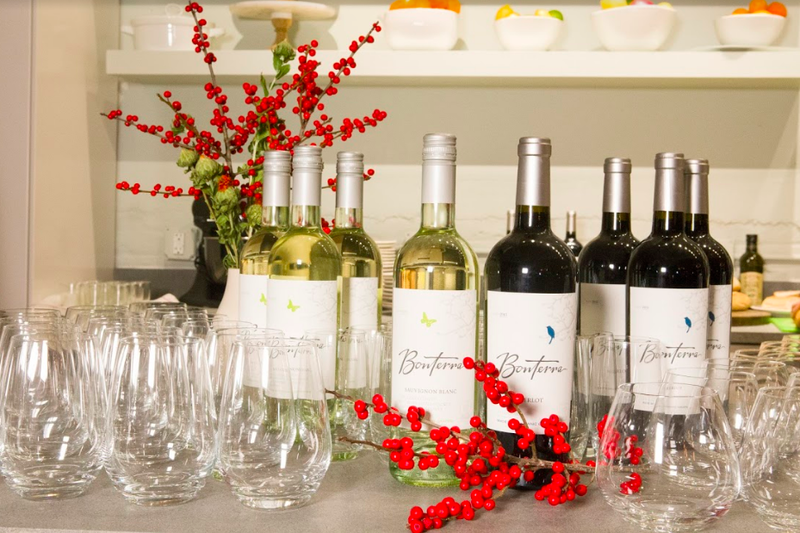 We put on this event with the wonderful Clarkson Potter team who published Tieghan's book: Half Baked Harvest Cookbook: Recipes from My Barn in the Mountains. 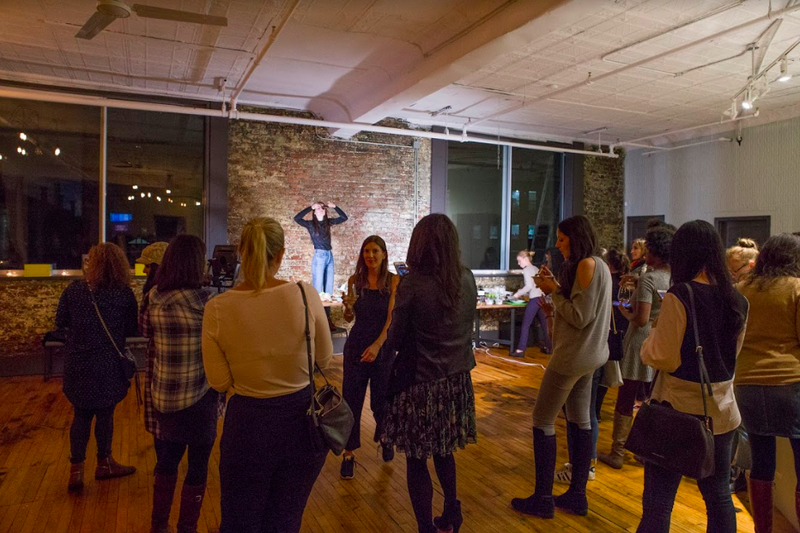 The evening began before the guests arrived when we showed Tieghan to what was to become the cheese table. 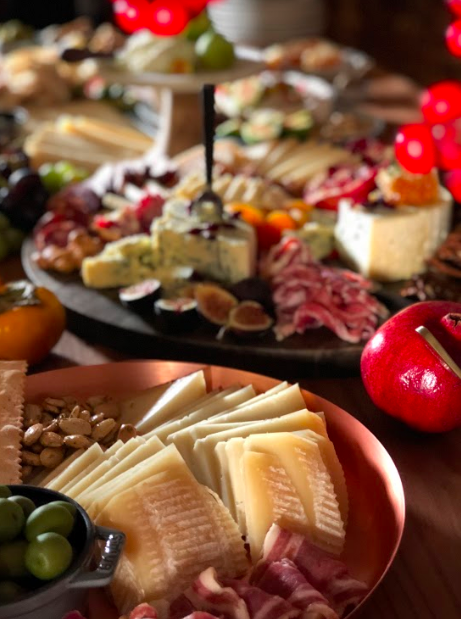 Alongside, we had set up a separate table with all the goods: assorted cheeses, thanks to Revittle, fresh and dried fruit, nuts, cured meats and crackers. Within twenty minutes the table was already coming together, and let's just say you didn't even have to like cheese to appreciate the beautiful display Tieghan had set up. Tieghan put the final touches on her styled cheese board as the guests arrived and mingled. Before we got down to cheese board business, there was wine, thanks to Bonterra, and Curried Cauliflower Soup from The Half Baked Harvest Cookbook served in Juliska bowls. 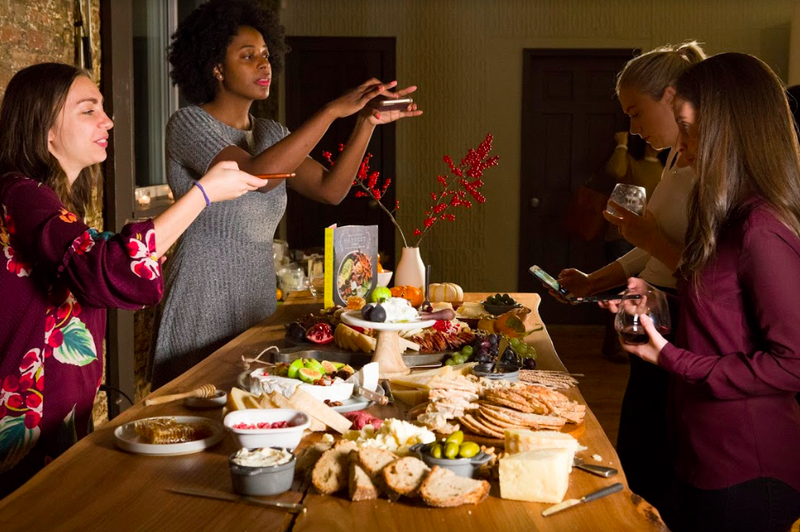 There was no shortage of photograph taking as Tieghan discussed her styling techniques, camera, light and surface preferences behind a table beaming with fall colors (and cheese!). 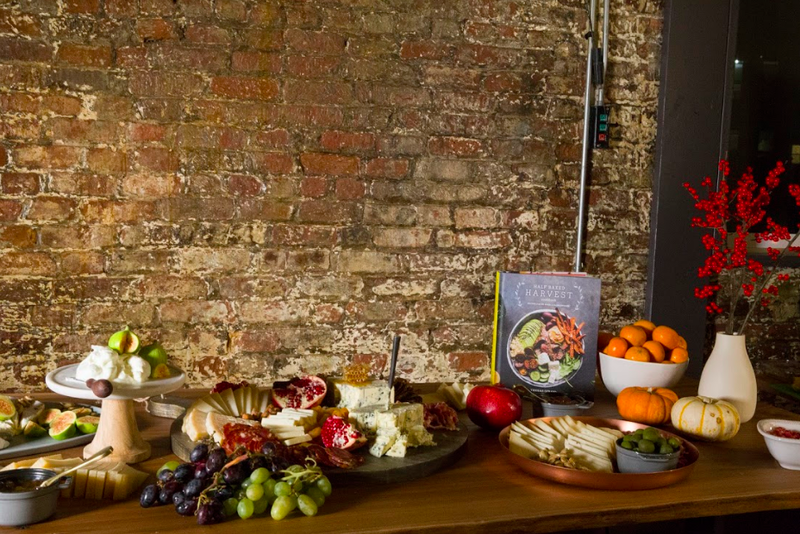 We learned more about how her cookbook came together and one of her mottos, which is: just keep layering on the flavors. 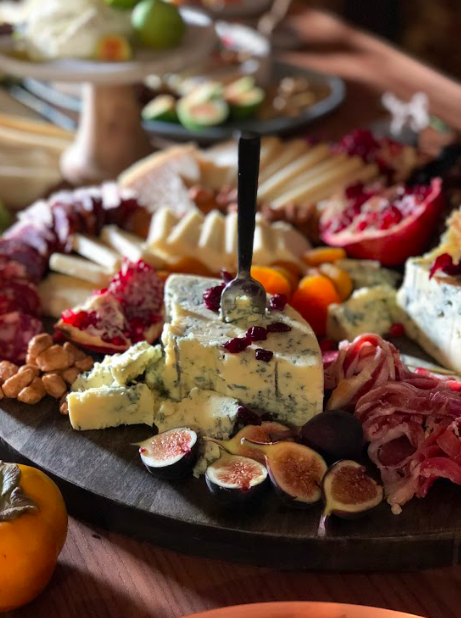 While it's hard to go wrong with a cheese board, we now have a few more tricks up our sleeves. 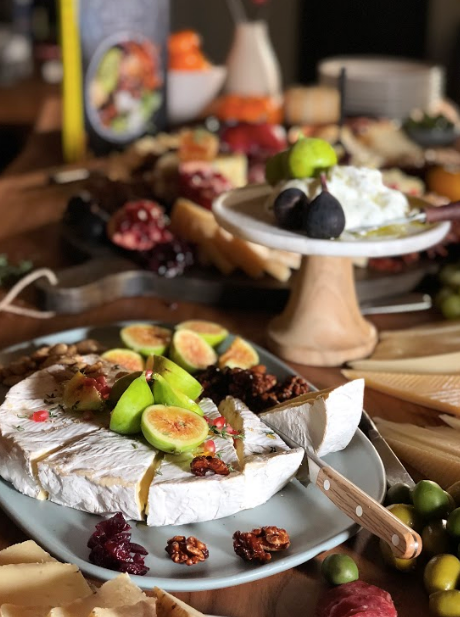 And of course, we have our Feedfeed Cheeseboard Tips that you can also use to create the ultimate cheese board!